The Green Deal is a finance scheme which makes money available to fund retrofit projects with no up front cost to reduce your energy cost and improve the energy efficiency for the property owner. The cost for each project will be paid through your energy bills which will have reduced once the recommended measures have been installed The Green Deal is Government backed but its implementation is by private companies offering private finance. 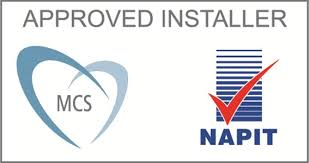 There are 45 measures included in the scheme, including boiler replacement solar panels and insulation. The Green Deal Opportunity and why it has been created? The Green Deal is a huge opportunity for the UK construction industry; this is a new private finance scheme enabling millions of new retrofit projects across the country. The UK Government have set a target to reduce Carbon Emission by 80% by 2050; the country needs to retrofit every home in a city the size of Cambridge each and every month for the next 40 years. That’s 5 to 6 homes every minute. Almost 50% of the UK’s Carbon Emissions come from the energy we use to heat our homes, businesses, industry and workplaces. Bence Eco by the George Bence Group have partnered up with Your Green Deal provider Ltd to offer the complete Green Deal Provider package for all our customers. 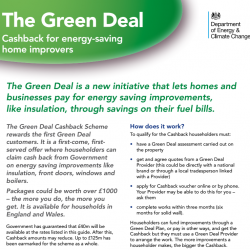 How does the Green Deal process work? Get an assessment on your property by a Green Deal Assessor to see what improvements you can make and how much you could save on your energy bills. Choose a Green Deal provider to carry out the work. You discuss with them what work you would like completed by using the report from the energy assessment and whether the Green Deal is right for you. 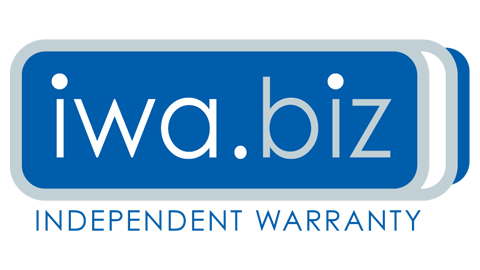 What Products are included in the Green Deal? Interested in the Green Deal or Funding for your home or business? Want to talk to us about the Green deal and funding? The Green Deal is a new initiative that lets homes and businesses pay for energy saving improvements, like insulation, through savings on their fuel bills. 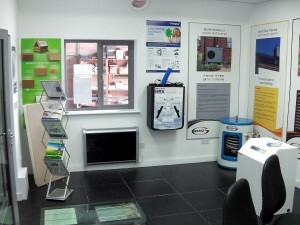 Bence Eco have partnered with Green Deal providers to offer tailored packages to all customers.